Most people experience anxiety at some point in their lives. 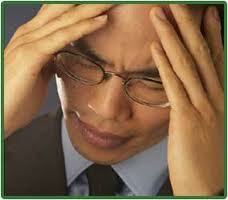 Anxiety may be chronic or be caused by a difficult situation. For example, after dealing with a major illness, you may experience anxiety. Most people may think once a physical recovery is made, your problems are over. However, anxiety may still be present. There are steps to take to deal with anxiety and feel well both physically and emotionally. 1. Acknowledge how you’re feeling. After recovery from an illness, for example, you may feel you should be grateful for your health. It may be hard to admit you are feeling anxious or stressed. Keep in mind it’s normal to have anxiety and admitting it is the first step in dealing with it. 4. Get back into life. If you took time off from work, consider returning to your job if medically able. Participate in hobbies you enjoyed. If your illness inspired you to work for a cure or become an activist get involved. The more time you spend living your life and participating in activities the less time you may have to dwell on problems. 5. Consider writing down your thought and feelings everyday. Sometimes getting your feelings out and expressing yourself helps reduce stress. It may help you to work through your fears.